This photo of a 30-something Abraham Lincoln, the earliest portrait of the future president, brought a flood of letters to the magazine that first published it, three decades after his death. Communication professor Cara Finnegan explores their responses, and what they say about how we interpret photos, as part of a new book. CHAMPAIGN, Ill. - Americans see a lot of Abraham Lincoln - on our money, in advertising, in photos and films. It's easy to think we know the guy. 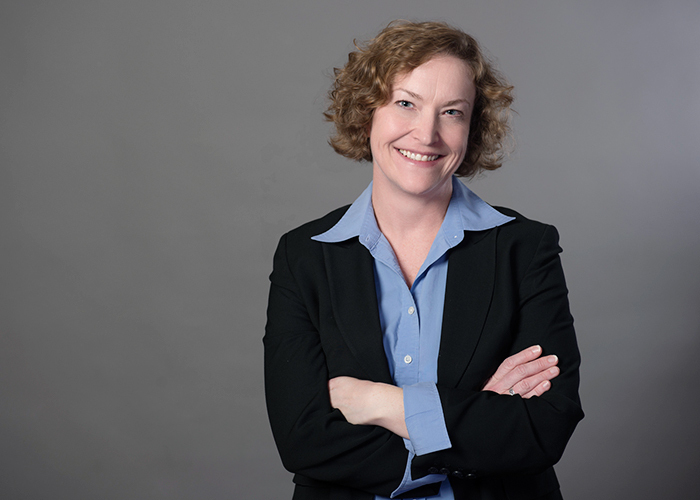 Professor Cara Finnegan studies the role of photography in public life. 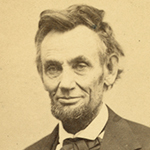 But what we see in Lincoln may say more about us and our times than about him, said University of Illinois communication professor Cara Finnegan. "Today, we get lots of Lincolns," she said, but there have been many different versions of Lincoln through the 150 years since his assassination in April 1865. Finnegan is the author of an upcoming book, "Making Photography Matter," about how people viewed and experienced certain photos at the time they first were made public. 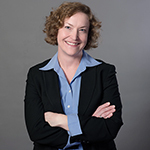 Her book examines the reaction to photos of the battlefield dead during the Civil War, of child labor early in the 1900s, and of economic hardship during the Great Depression. 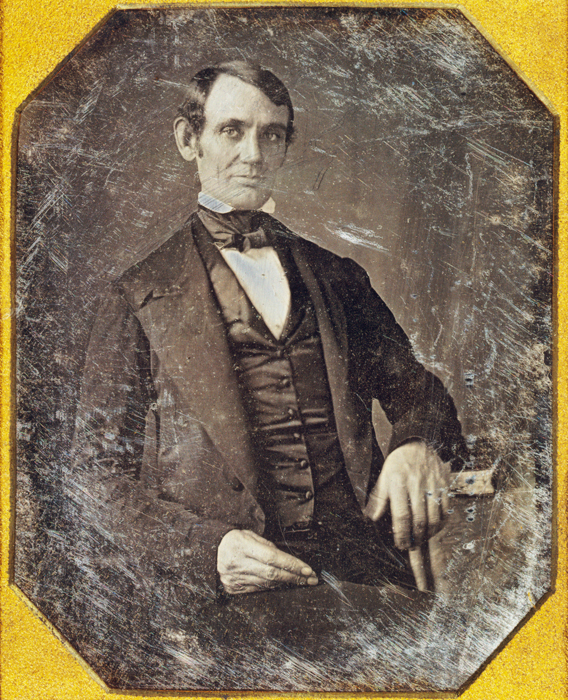 The daguerreotype (an early type of photo) upon which the McClure's image was based, taken in 1846 or 1847 when Lincoln was in his late 30s. Another chapter explores the flood of response in 1895 to a newly discovered photo of Lincoln, three decades after his death. Finnegan describes how the times shaped what people saw, or wanted to see, in the photo - and how they used it to negotiate their anxieties then about immigration, social change and American identity. The photo published in McClure's magazine that year was unlike any the public had seen before. This was not Lincoln in the years leading up to and then during his presidency, where he was visibly worn down by the Civil War. 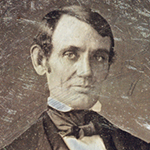 This was a 30-something Lincoln: well-groomed, clean-shaven, looking like a middle-class gentleman. He was at least 10 years younger than in any other known photo, and many readers even had trouble recognizing him, Finnegan said. "This image really did kind of blow people's minds," she said. In two later issues, McClure's would publish seven full pages of letters responding to the image, many of them coming from society's elite. 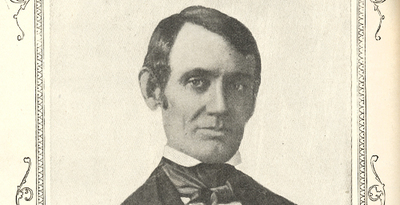 Abraham Lincoln in February 1865, from his last formal portrait sitting, 10 weeks before he was assassinated. A Brooklyn newspaper editor wrote that the photo showed a young man "upon whose brow there already gleamed the illumination of intellect, the inspiration of patriotism." A history professor wrote that the portrait "indicates the natural character, strength, insight, and humor of the man." 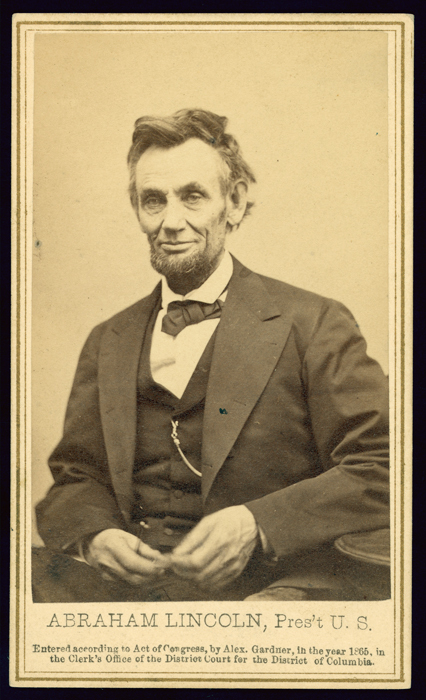 A former state supreme court justice made note of Lincoln's "pleasant and kindly eyes, through which you feel, as you look into them, that you are looking into a great heart." Yet as Finnegan points out in her book, the photograph is "not particularly unusual" and hardly seems to justify "such broad claims or florid prose." For one thing, "we have to keep in mind that people just didn't see a lot of photographs for much of the 19th century," Finnegan said. That's difficult to grasp in the age of Instagram. 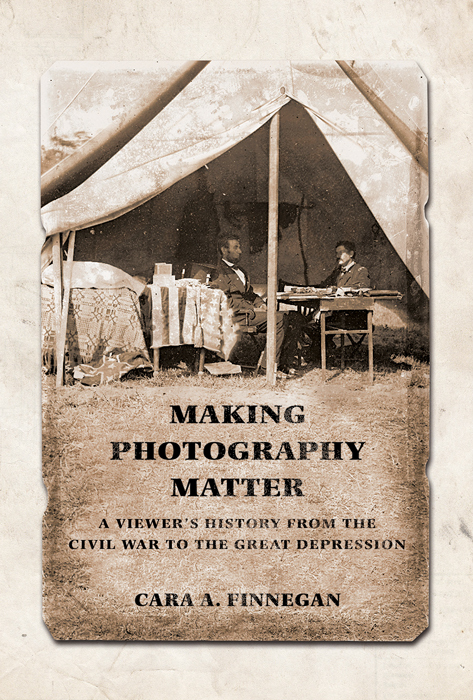 "Making Photography Matter: A Viewer's History From the Civil War to the Great Depression" is scheduled for publication in June by the University of Illinois Press. Viewers at that time also had particular ideas about what a photo could tell you about a person's character, influenced by pseudo-sciences about facial traits and the shape of one's head, Finnegan said. These were ideas that predated photography, but photography had given them new life. As a result, viewers at the time believed a photographic portrait communicated evidence of moral character, both good and bad, Finnegan said. The same ideas could also suggest that someone was criminal, immoral or not American, often based problematically on features common to certain racial or ethnic groups. The letters in McClure's "are a place where you see really concretely how people are using these ideas about Lincoln and these images of Lincoln to support their arguments about what America should be at the end of the 19th century," Finnegan said. "They also are asking, essentially, 'what is a true American?'" As a result, Lincoln is becoming what some would call the "first American," or what Carl Sandburg would call the "national head" - a kind of embodiment of the nation. That's further illustrated in the way that many of the McClure's letter writers addressed Lincoln's physical appearance, "going to great lengths to prove that Lincoln wasn't the stereotype of a kind of ugly, awkward person that a lot of people said that he was," Finnegan said. "I think they were going to those lengths," she said, "because if you want to argue that somebody is an embodiment of the nation, the 'first American,' etc., he has to somehow be worth that designation." Finnegan starts her chapter on the Lincoln photograph with a quote from an unidentified writer, published with a 1917 article in Life magazine: "People take awful liberties with Lincoln ... It almost makes you wish that Lincoln had been copyrighted." The need to see Lincoln in a way that fits the times seems as true in the present as in the past, Finnegan said. One example might be found in the 2012 film "Lincoln," where the president was portrayed as a man "who sought political compromise while trying to keep his moral character intact," Finnegan said. For current-day politicians who might want to move beyond political deadlock, she said, that's a Lincoln who might "resonate." To reach Cara Finnegan, call 217-333-1855; email caraf@illinois.edu. 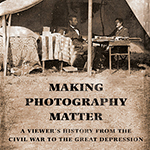 Finnegan’s book, “Making Photography Matter: A Viewer’s History From the Civil War to the Great Depression,” is scheduled for publication in June by the University of Illinois Press.